Human explores fundamental themes--Justice, Tolerance, Poverty, War, Happiness, and more--and each chapter includes excerpts from interviews and essays written by eminent journalists and human rights activists. Over the past three years, Yann Arthus-Bertrand and the GoodPlanet Foundation have gathered more than 2,000 interviews in 70 countries, while capturing portraits and aerial photographs. Human explores fundamental themes--Justice, Tolerance, Poverty, War, Happiness, and more--and each chapter includes excerpts from interviews and essays written by eminent journalists and human rights activists. The book will launch simultaneously with the movie, which will be distributed worldwide for free, with screenings at the United Nations in New York as well as in major international cities. 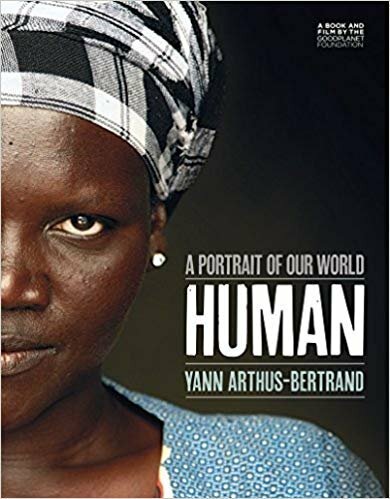 With its collection of inspiring, spectacular images, allied to the unforgettable testimonies of mankind--Human is a landmark achievement in documentary film and book publishing, a compelling portrait of humanity at the beginning of the 21st century.